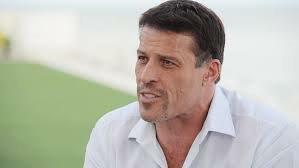 If you listen sometimes to Tony Robbins you will not be surprised how clearly and simply he explains any business fundamentals and makes it easy to grasp the main points. Recently I was blown away when he talked about why most people buy many courses, ebooks or other products but then do nothing with them instead of following the instructions in them and change their lives forever. He drew four squares on paper and put the word potential in the first one, then action in the second one, results in the third one and certainty in the fourth one. All the squares were closely connected with each other. He simply said that if you really believe in the potential of the course, ebook or report you buy and take action from the beginning to the end, you will start having better results and this certainty will definitely increase your belief in the potential of what you’re doing, increase more action and get better and better results etc, etc. When you have 16 clients and each client needs 4 hours of cleaning every week, your average monthly income will be about $1,109. When you have 96 clients your average monthly income will be about $6,656 and when you have 188 clients, your average monthly income will be $13,312 etc. Simple maths. The more clients you have, the more money you will make. When you get my business blueprint Cleaning Business Gold you will get step by step instructions what to do and when and how. Please remember I have been there and done it myself. If you are not sure about something you can always ask me. I am very passionate about coaching people about how to start and run a SUCCESSFUL cleaning agency – not doing any of the cleaning yourself, just managing everything, so it runs smoothly. A cleaner goes to the same client every week and cleans the same number of hours there. You get paid by your client every month to your bank account. Easy and simple. I will teach you how to find cleaners and clients and supply you with all the paperwork you will need. This entry was posted in Uncategorized on October 19, 2016 by anna.